Please note, this exact table has been sold, but all of our sold pieces are available to repurchase based on the same design. Please bear in mind that grain pattern, colour and slab shapes will vary – but we’ll find something that suits you perfectly! Hornbeam is a deciduous tree native to the south of England – but you can now find it planted as far away as Asia. It’s a super hard wood – in America it’s even nicknamed ‘Ironwood’ – which makes it ideal for furniture use, and it produces a gorgeous pale, creamy colour, with plenty of ripples and flecks in the grain. Grade 304, chunky 120x40mm, brushed stainless steel box section pedestals. Strong and authoritative, yet refined and classy. 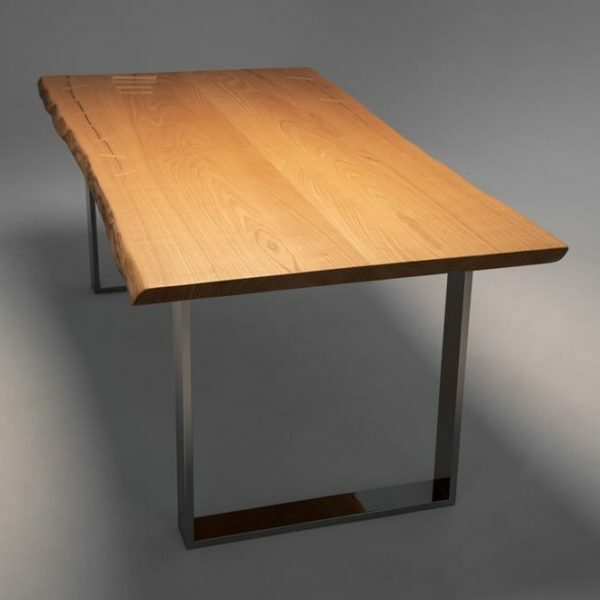 For an elegant vibe that supports the beauty of the table top – with an industrial edge. 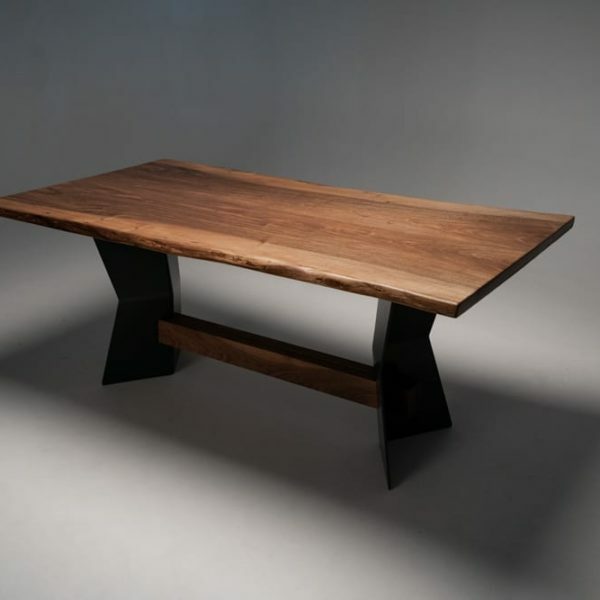 This stunning hornbeam dining table has been crafted from two slabs, bookmatched together to form one complete piece. The result is truly beautiful – and you’ll forever be finding new ripples, knots, and other unique features, to fall in love with.